Should Your Enterprise Adopt a Cloud-First Strategy in 2019? Cloud adoption is more popular now than ever. Though the technology has only been around in business-level capacity for little over a decade, enterprises have adopted cloud services at a rapid rate. RightScale’s annual State of the Cloud Report this year found that 94% of those surveyed use the cloud in some capacity. With so many businesses taking advantage of the cloud, how do they fit it to suit their company’s needs? Many enterprises have adopted a cloud-first strategy – a practice where businesses always consider operating a project, workflow, process, etc. in the cloud before any other means. This practice, originating in the U.S. federal government, has spread to the corporate world. What is the cloud-first mentality, and should your enterprise subscribe to it? We’ve outlined everything you need to know about a cloud-first strategy for IT operations below. The cloud-first mentality is a set of business practices that aims to utilize cloud services as much as possible. 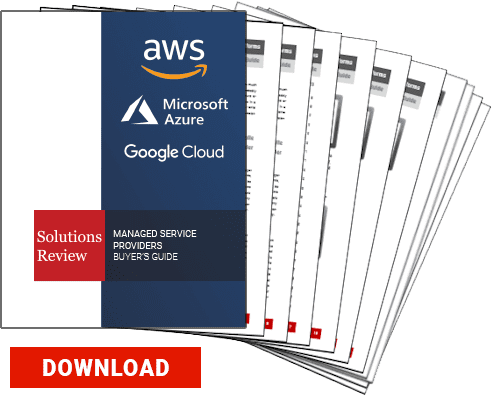 When a cloud-first enterprise establishes new processes or reviews existing ones, they consider a cloud computing solution before any others. The rationale behind this mindset is that since cloud processes are typically more cost-efficient, cloud-first enterprises will reap the financial benefits as much as possible. Since many services, tasks, and applications are now available in the cloud, the cloud-first mentality can potentially save a lot for a business financially. The cloud-first mentality is not to be strictly enforced, but is more of a consideration IT teams are expected to make when designing strategies. When teams plan out workflows, they are expected to always contemplate a cloud-based solution. A downside of a cloud-first mindset is that it is often confused for a cloud-only mindset by those who implement it. A cloud-only mentality enforces cloud computing solutions on any and all enterprise operations. Many businesses that claim to be cloud-first are actually promoting cloud-only practices. The difference is more in thought process than application; cloud-only is a mandate while cloud-first is a suggested routine. Business that want to adopt a cloud-first mindset should understand the difference between the two, because cloud-only practices are often counter-productive. While the cloud can handle a lot of tasks, many businesses still rely on on-premise hardware or software to perform various functions. Switching all those functions to the cloud may be more cost-efficient, but they can sometimes be less productive. Choosing to adopt a cloud solution or not should be considered on a case-by-case basis rather than strictly forced. Is cloud-first the best cloud strategy in 2019? Cloud-first is not a new idea. It was officially introduced in the U.S. government in 2010, and enterprise IT teams integrated the concept in the years following. However, a new cloud strategy – “cloud smart” – is now being pursued by the White House to address the improved knowledge IT leaders have of the cloud. Does that mean that the cloud-first strategy is on its way out? Not necessarily. Cloud-first is still a valid train of thought even as alternative practices are developed. The cloud-first policy was introduced at a time when public cloud computing was still relatively new and was designed to integrate the cloud wherever it was applicable and beneficial. Since many IT teams now have a better understanding of how the cloud works, a cloud-first approach is still perfectly sound today. As more and more businesses move to the cloud, they should consider cloud solutions for their workflows and processes. However, this consideration should be balanced with other possibilities to determine the best course of action.